Have you or a loved one suffered serious personal injuries in the City of Miami? If so, it is extremely important for you to consult the best Miami personal injury lawyer you can call as quickly as possible. You may be entitled to compensation but there is a time limit in which to present your claim. In addition, the sooner the personal injury attorney in Miami can investigate and collect evidence will benefit you and the viability of your personal injury claim for money damages. If you have been injured in any kind of accident in the Miami area, make certain to call our Miami personal injury lawyers at the Wolfson Law Firm for help. For free consultations, call the Miami accident attorneys at the Wolfson Law Firm in Miami at (305) 285-1115 and tell us about your case. With over 80 years of combined experience in personal injury cases, our accident attorneys know what to do to help personal injury clients. In your free consultation we will discuss your case and present you with your options. Then you can make a well-informed decision about what you want to do. You may be entitled to recover compensation for medical costs, medication expenses, loss of wages, impairment of future earning capacity, scarring, disfigurement, pain and suffering. If you decide to choose us to represent you, please remember that we handle personal injury and wrongful death cases on a contingency basis. This means that you do not pay any fees until we recover damages for you. You can call us now at 305-285-1115 for your free consultation. 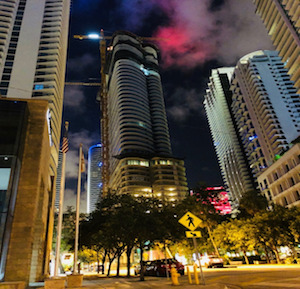 With over 5.5 million people in the Miami metro area, Miami is a booming city. Large roadways cut through and around the city, allowing residents and tourists to get around town. The Miami-Dade County is primarily served by four Interstate Highways: I-75, I-95, I-195, and I-395. The metro area is further served by a number of expressways, including the Palmetto Expressway, Dolphin Expressway, Don Shula Expressway, Snapper Creek Expressway, and the Gratigny Parkway. As with any populated urban are, numerous accidents and personal injuries are sustained on these roads. When accidents cause injuries or wrongful deaths, then those victims will often need the services of a Miami automobile accident attorney. If you suffered an injury due to the negligence or intentional acts of another, then you should stand up for yourself. If that person or a corporation failed to do the right thing and you were seriously injured as a result, then you should hold them accountable. No one is likely to step up and take care of your medical bills, lost wages or your pain and suffering, you have to take the first step to force them to be responsible for the damages you sustain. You can take that step with the accident attorneys at the Miami personal injury law firm of the Wolfson Law Firm. We offer free consultations with our bilingual personal injury lawyers in Miami. Just call us at 305-285-1115 and let us help you.